Welcome to another Literary Term. Many of my terms are things you haven’t heard of before, but once in awhile, they are terms that you have heard, or at least should have heard. Anti-climax is a great words that describes a great plot device that, like a magic trick, you have to be careful in its execution. A poor execution can lead to a lot of angry viewers. Anti-Climax, also written as Anti-Climatic, is an interesting element to a book. To understand this, we need to take a look at what climax is. All writers will know that a climax is the highest point in a story, proceeded by rising action and followed by falling action. Put simply, the climax is the point of the story that everything has been leading to. The great battle between two characters, or the point where things really hit the fan. Often times things get worse before they get better, and that is what the climax is. It’s the point where our emotions are heightened and we are on the edge of our seat. One note about climax and plot structure. The climax can automatically lead to a resolution, which is then proceeded by a dénouement. This is the case where a our protagonist and antagonist face each other, with the protagonist winning the fight. This is seen in the Karate Kid (both versions). But perhaps out antagonist fails, or the high climatic moment wasn’t between our protagonist and antagonist but was between two characters we wanted to see fight, to which the big good failed. Namely, this fight may be instead the Dragon, who is the #2 of the antagonist. You must fight them before getting to the big bad. In this case, Star Wars, A New Hope demonstrates this. First off, the Protagonist and Antagonist is not Luke Skywalker and Darth Vader (respectively), but instead the Rebel Alliance vs the Empire (respectively). However, our climax scene is not the Rebels taking on the Death Star, as that is the resolution, but the scene of Obi Wan vs Darth Vader. Interesting enough, had Obi Wan killed Vader, the rest of the movie still would have happened. Dealing with the loss of a mentor was the falling action, then going up against the Death Star was the resolution, with the award ceremony being the Dénouement. It’s important to understand what a climax is to understand what the Anti-climax is. One might assume that it is simply the opposite. Not entirely. The best way to describe Anticlimax is a sudden drop from the rising action. All the tension is building in our story and we are ready to go and it just drops. Though it is not always negative. In a world where we always see high action moments, an anti-climatic moment can throw off the viewer/reader and instead build a new climax at the last moment. This is the Anti-Climax being used as a plot device to add to the story. However, an Anti-Climatic moment can also just replace the climax all together. Often times, the anti-climatic moment is the fact that the big fight we expected to see ends rather quickly. Throughout the entire story, we knew that two characters would meet and we’ve had to go through a lot just to get there, and somehow they are easily defeated. Much like video games, where the final boss tends to be the easiest fight. Great example of this is the film Kill Bill. We went through two entire movies and we expected the laws of physics to be decimated and the entire scene was dedicated to this fight, and we get a little action that ends with the Five Point Palm Exploding Heart Technique, then some emotional stuff. This is a prime example of the Anti-Climax replacing the Climax. Then there is where the Anti-Climax happens right before the Climax happens. In this case, the anti-climactic moment is just a teaser. We are led to this big fight to happen and then it ends so suddenly that we don’t get to see it, only for it to turn around and be the big fight we wanted to see. This is best seen in the Princess Bride. In the movie, we were told of the Six Finger Man and that on the day Inigo Montoya meets him, he would tell him, “Hello, my name is Inigo Montoya, you killed my Father, prepare to die.” To when they first meet, Count Rugen runs away, to which Inigo pursues only for him to catch a knife in his body, for Inigo to fail. 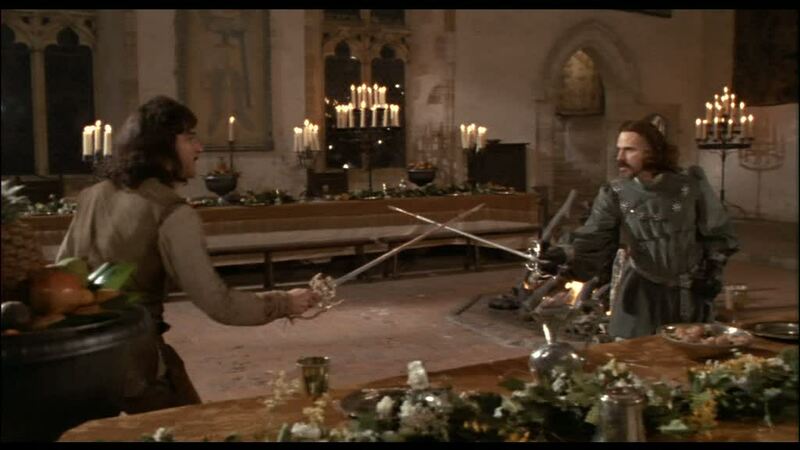 A scene later, we see Inigo pull out the knife and give us the fight we wanted to see. There is the rare occasion where an Anti-Climax occurs right before what we think is the Climax, only for that to end in an Anti-Climatic moment. Similar to the moment above, where we get the big fight we want, only for there to be an Anti-Climatic moment, followed by a fight, that ends to quickly in an Anti-Climatic moment. Best example of this is Iron Man 2. Our heroes, War Machine and Iron Man must face off against Whiplash. Then War Machine attempts to use an anti-climatic device with a tank missile (given by Justin Hammer) only for it to fail (how does Hammer make money if nothing works?). So it was an Anti-Climatic device that itself was an Anti-Climatic moment. Then we get our fight, which ends with the two characters using their hands to blast each other, seen earlier in the film (thus making it Chekov’s Gun) and ends the battle. Not only does it end quickly, but also ends in a way that is rather easy. Giving us four anti-climatic elements in a single fight. Don’t get me wrong, I love the film, but I had expected more. Ultimately, Anti-Climax is not a bad thing. If done well, can give us good character building or present to us a solution we might not have considered. If done badly, it is simply an insult to our viewer/reader. Either way, be aware that doing it results in not giving the reader/viewer what they had wanted (especially if you had been building it to happen), and instead leaving them a bit dissatisfied. I implore you to only use Anti-Climax as a means of resolving a story, as this is the best path for you to go in your story, or as a means to build up the climax, and NEVER as a way to just screw with your reader/viewer. With the former, it can lead to some good writing, with the latter, it is just bad form. 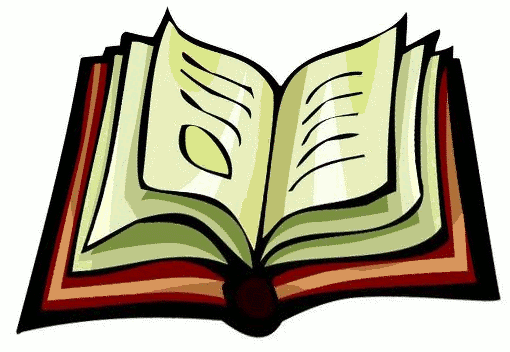 You Know You Are a Writer When… you are addicted to learning about story theory.